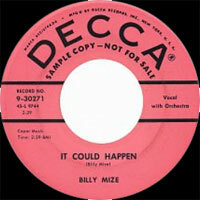 Chanteur Country US né William Robert Mize le 29 Avril 1929 à Arkansas City (Kansas). 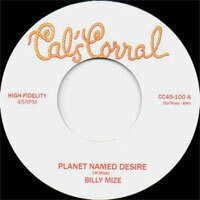 Billy Mize fut Disc jockey sur KPMC, Bakersfield (Calififornie) et un régulier du Cousin Herb Show (KERO, Bakersfield (Calififornie)). Born 29 April 1929, Kansas City, Kansas, USA. Raised in the San Joaquin Valley of California, Mize first learned to play guitar as a child, but converted to steel guitar when he received one for his 18th birthday. Originally, he was influenced by the music of Bob Wills and when he moved to Bakersfield, he formed his own band and played residences at local venues. He also worked as a disc jockey on KPMC. 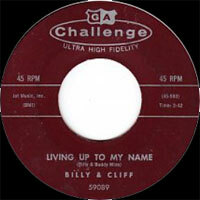 In 1953, he appeared onThe Cousin Herb Trading Post Show on KERO-TV Bakersfield, and became affectionately known as Billy The Kid. He was a regular with the show for 13 years, including hosting it at one stage. 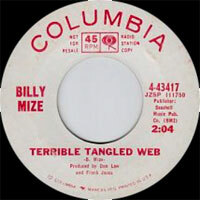 Mize still played his other appearances, and in 1955, began to appear on the Hank Penny Show on Los Angeles television. 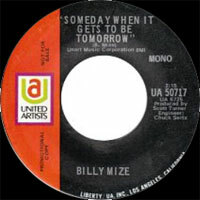 In 1957, his popularity grew to the extent that, for several years, he managed to appear on seven Los Angeles television stations weekly, includingTown Hall Party, and still maintained his Bakersfield commitments. He naturally developed into a television personality and, in 1966 and 1967, he became host/singer of Gene Autry’s Melody Ranch network show on KTLA. 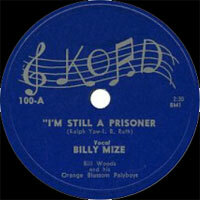 He also commenced his own syndicatedBilly Mize Show from Bakersfield. 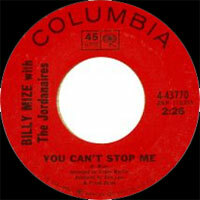 He first recorded for Decca Records in the 50s, and later for Challenge and Liberty, before making the US country charts in 1966 with his Columbia recording of ‘You Can’t Stop Me’. 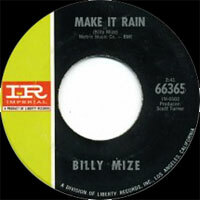 Between 1966 and 1977, he totalled 11 US chart entries, including his own composition, ‘Make It Rain’. Some of his songs were hits for other artists, such as ‘Who Will Buy The Wine’ (Charlie Walker), ‘My Baby Walks All Over Me’ (Johnny Sea) and ‘Don’t Let The Blues Make You Bad’ (Dean Martin). He maintained rigorous schedules throughout the 60s and 70s, and appeared in the television series RFD Hollywood. 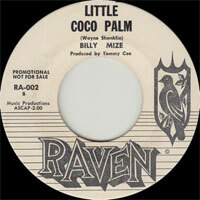 He later became a television producer with his own production company. He has also worked as a musician on numerous recording sessions, including playing steel and rhythm guitar on many of Merle Haggard’s recordings. His brother Buddy (b. 5 August 1936, Wichita, Kansas, USA) is a noted country songwriter, record producer and radio personality. He also relocated to Bakersfield, and his songs have been recorded by Buck Owens, Johnny Cash, Marty Robbins, Hank Snow and many others. 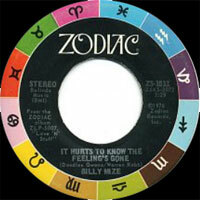 In the early 80s, Buddy and Billy worked together on various television projects. 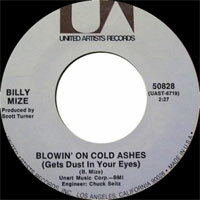 Billy currently heads Billy Mize Productions, making television spectaculars with Haggard. 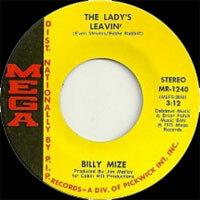 In the mid-90s Mize suffered a stroke from which he recovered. In 2001 he was inducted into the Pioneers of Western Swing. 08/1953 SP KORD 100 (US) . 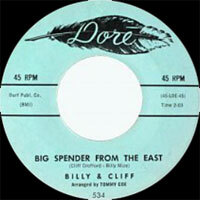 04/1956 SP DECCA 9-29852 (US) . 01/1960 SP RAVEN RA-002 (US) . 10/1965 SP COLUMBIA 4-43417 (US) . 08/1966 SP COLUMBIA 4-43770 (US) . 08/1968 SP COLUMBIA 4-44621 (US) . 1968 SP Cal’s Corral CC45-100 (US) . 08/1969 SP IMPERIAL 66403 (US) . 11/1969 SP IMPERIAL 66427 (US) . 04/1970 SP IMPERIAL 66447 (US) . 10/1970 SP UNITED ARTISTS UA 50717 (US) . 01/1971 SP UNITED ARTISTS SUA 50751 (US) . 08/1971 SP UNITED ARTISTS 50828 (US) . 12/1972 SP UNITED ARTISTS UA 50991 (US) . 07/1973 SP UNITED ARTISTS UA-XW265-W (US) . 01/1974 SP UNITED ARTISTS UA-XW372-W (US) . 07/1974 SP UNITED ARTISTS UA-XW503-X (US) . 09/1974 SP MEGA MR-1216 (US) . 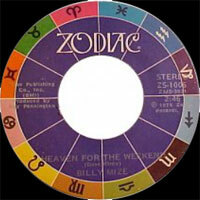 Billy Mize & The Trucker's Choir - Linda's Love Step / Do Apples Look Like Oranges? 01/1974 SP MEGA MR-1223 (US) . 11/1975 SP MEGA MR-1240 (US) . 1976 SP ZODIAC ZS-1006 (US) . 01/1977 SP ZODIAC ZS-1014 (US) .